Making a rare visit to Australia to announce Olympus' newest mirrorless camera, we sat down for a chat with Toshi Terada, General Manager for the Olympus Global Marketing Department, to hear his thoughts on the future of Micro Four Thirds and the development of the company's newest product, the OM-D E-M1X. 1) Can you tell me about your history with Olympus? I have been with Olympus since 1986, starting originally as an engineer. I have always worked with digital cameras, and now work as the company lead in marketing for all Olympus digital cameras globally. 2) 2018 was an interesting year for Olympus, with full frame mirrorless being adopted by all of the DSLR makers except Ricoh, and Panasonic also announcing their own system. What does this mean for Olympus, and Micro Four Thirds in the future? Olympus introduced the first Micro Four Thirds camera a decade ago, and I think now really is the time of mirrorless. [The shift towards full frame sensors] is a major question for the market, and one that the [consumers] are more focussed on. Olympus' positioning is that lightweight and compact interchangeable lens systems will continue to be our focus, and the full frame focus is a good chance for us to provide another benefit to the camera market besides full frame. 3) What are your ambitions for Olympus' range of photographic products? Olympus is focussed right now on Micro Four Thirds, and this focus has never changed. However with the OM-D E-M1X, our new professional camera, together with the current E-M1 Mark II, also the mid-class E-M5, and entry-level E-M10 class, [we've covered] the majority of the market's requirements. Micro Four Thirds was introduced based on market-research that users wanted portable interchangeable lens cameras, and this remains one of our key ambitions. 4) What is the biggest challenge that faces Olympus as a camera manufacturer? All of us [camera brands] have lost market volume for compact cameras as a result of smartphones. The total market size for interchangeable lens cameras, especially DSLRs, is shrinking. But on the other hand the mirrorless category continues to grow. We can see the future of our business in this trend. Even in the current market, most of the younger market are still using smartphones for photography, but there is still a big chance to invite them to use [dedicated] cameras. The imaging business, not only cameras, is growing. 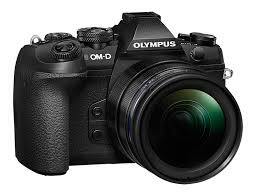 5) Tell me about the development of the OM-D E-M1X. What challenges did you face and how long has it been in development? It's really tough to say how long the camera took [to bring to market]. Once we had the concept of the product, it was more than three or four years – I cannot say what the exact starting point was! Once we introduced the E-M1 series, which was our professional camera at the time, we [began to see] the benefits of Micro Four Thirds for sports and wildlife photographers. However some users struggled with the balance of using long lenses on our more compact bodies. They were always using the camera with a battery grip, and this was one of our starting points. We [knew] we needed some sort of different form factor body especially for [these] users with telephoto lenses. There is definitely a demand from these users for telephoto lenses and bodies that are lightweight, also we have a big benefit [for these genres of photography] with the 2x crop factor. We decided to add a professional model to the E-M1 series. To realise and deliver the product to market took more than three years, which included continuous market research with professionals. The challenges from a development viewpoint included how to utilise the dual engine to enhance the processing power. Also, the AI deep-learning functionality in partnership with the engine was a big challenge. The AI technology emerged not just for our imaging products, but also our medical and scientific applications. 6) What are the competitor products you benchmark against? What do you see it competing against? The OM-D E-M1X delivers the performance and reliability of the Canon 1DX series and Nikon D5, in a Micro Four Thirds system form factor. 7) The new camera has been targeted at sports and wildlife photographers. Why this audience? Even from the film era, wildlife photography has always been popular with Olympus shooters, and from a marketing viewpoint we have a very close relationship with wildlife photographers. [Combined] with the crop factor benefits of Micro Four Thirds, this helped define our priorities. 8) One of the strengths of Micro Four Thirds is video. Does Olympus see this as important? Of course one of the benefits of mirrorless is the very strong combination of stills shooting and video shooting. We try to implement the latest video features in our new products, but our focus remains [predominantly] on stills photography. [However] from the market, even the stills photographers are now shooting video. From that point of view, we need to meet their demands as well. Not just the film production demands, but more simple usage in professional image makers too. For people shooting stills and video, the E-M1X is certainly capable of meeting those needs. Video is an important part of our business. 9) Could we ever see a dedicated Micro Four Thirds video camera from Olympus? We dont think so! (laughs). I don't know in the future, but for now we are working on stills orientated products with video capabilities. 10) What are you most proud of in the OM-D E-M1X? The image stabilisation is quite amazing! We've achieved 7.5 stops, meaning we can enjoy even long exposure shots [handheld]. We will continue to challenge ourselves with new integrated in-camera features which is something we are very proud of. 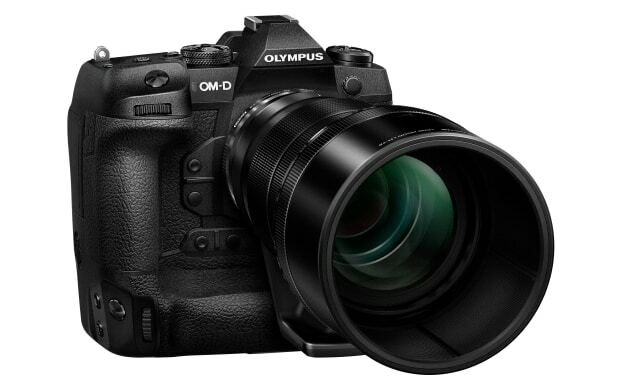 Read our review of the Olympus OM-D E-M1X here.